Being "Lutheran," our congregations accept and teach the Bible-based teachings of Martin Luther, who inspired the reformation of the Christian Church in the 16th century. 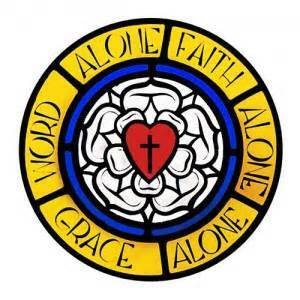 The teaching of Luther and the reformers can be summarized in three short phrases: Grace alone, Faith alone, and Scripture alone. We are all sinners and in need of a Savior. Though we do not deserve it, God sent His Son, Jesus Christ, to be our Savior. Jesus died on the cross and rose from the dead on Easter morning in order to pay the penalty for our sin. Those who hear this Good News and believe it have the eternal life that it offers. The Triune God, Father, Son, and Holy Spirit, creates faith in Christ and gives us forgiveness through Him. The entire Bible is the written Word of God, without error, and inspired by the Holy Spirit. Holy Scripture is the only source of what we teach and the standard and norm for what we practice.